These past weeks, 3 topics remained without answer. 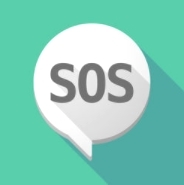 Maybe you could help these 3 members to solve their problem. 1. How to find a common phase to do the phasing between 2 power plants? 3. Where are the best schools to study electrical engineering in Dubai? 13451 members and almost 1200 topics! As the number of topics keeps growing fast, don't hesitate to use the search engine, at the top left of the forum window, to check if there is a topic in relation to a subject you are interested in. Do you often work on low voltage electrical installations? Are you part of electrical engineering projects as a consultant, designer, contractor, panel builder or facility manager? Then keeping up with the IEC standards might be an everyday struggle for you all. First, the EIG is a great practical guide written by an experienced team of professionals from Schneider Electric. These experts accepted to share everything they know about complying with evolving standards and technologies while working on electrical installations. You'll find precious information however if you work for industrial, commercial or domestic electrical projects. Of course, the Electrical Installation Guide covers every important topic related to electrical installation; from MV/LV substations to voltage drop, from electrical safety to power factor correction, from electrical design to cable sizing, from electrical calculations to earthing schemes, from circuit breakers to electrical protection, from overvoltage protection to harmonics and more. The second reason why you should download this document is obvious. Again, keeping up with every IEC standards and technical evolutions is very complicated. The last EIG guide was published in 2016 and a lot of things have changed since then! To put it in a nutshell, the Electrical Installation Guide is a reference work every professional should get ASAP. It will definitely help you even if you're a student or teacher. Solar technology is getting bigger and bigger around the world and you can find more and more photovoltaic systems installed on top of buildings to try and reach the "zero energy" target. Many of you wonder how to design, install or operate these photovoltaic systems, especially in the new typical installation trend where PV systems (or other local production sources) are exclusively used for self-consumption. 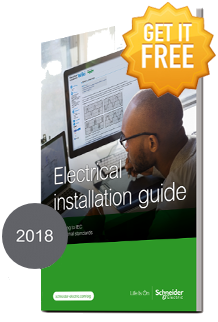 Fortunately, Schneider Electric experts who wrote the 2018 edition of the Electrical Installation Guide heard your concerns and worked on a detailed content to help you. How to protect electrical installations from electric shocks and electrical fires? The professional from Schneider Electric added up-to-date information about residual current devices (RDCs) and arc fault detection devices (AFDDs), and enhanced the whole content as well. Along with these 2 new major features, you'll find great information about LV Switchgear function and selection, Energy Efficiency in electrical distribution, Sizing and protection of conductors, Overvoltage protection, Internal arc withstand tests, LED lamps for public lighting and also Measurement standards updates. No to mention the new look&feel, improved illustrations, internationalized content and more! The 2018 Electrical Installation Guide is definitely a must-have. And thanks to our blog, you can exceptionally get it for FREE! All you need to do is to click on the button below to DOWNLOAD the EIG 2018 RIGHT NOW and FOR FREE.